Shipping costs depend on where the product will be mailed. 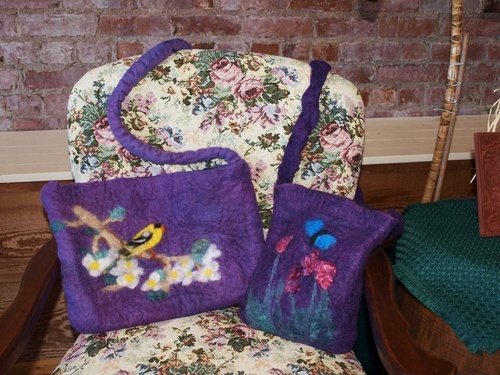 Hand felted purse or tote bag. Pricing varies on size and the detail for the personalized bag. The bags in the photo were both special orders. You may choose colors for your bag. If there is something specific you would like on your bag such as flowers or specific animals I will do my best to create that for you. Please contact me by phone or email to place your order and to discuss pricing.